Garden Projects | Norfolk Landscapes ltd. 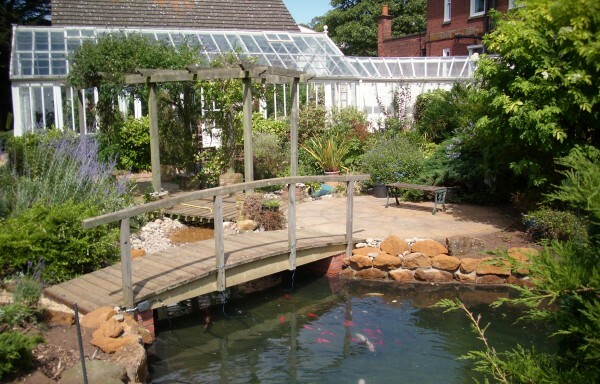 This Koi Pond was constructed from a disused swimming pool, so after it was emptied the build began. It uses a liner with protective flece underneath, Topped off with hand picked carrstone rocks mortared into place. There is also a stream running into the pond that meanders underneath the bespoke hand crafted bridge. The surrounding Soft Landscaping was selected to provide shade and shelter to the fish in the Koi Pond while maintaining a pleasant look across the whole project.